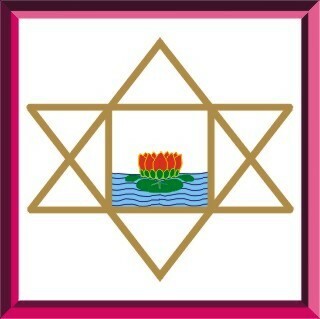 In my experience the square symbolises the supermind. I cannot say how it came to do so. Somebody or some force may have built it before it came to my mind. A square means that some kind of creation is in process in some field of the being; the square indicates that the creation is to be complete in itself; while the rectangle indicates something partial and preliminary. When you see a square, that is a symbol of complete creation. The supramental change is the ultimate stage of siddhi and it is not likely to come so soon; but there are many levels between the normal mind and the supermind and it is easy to mistake an ascent into one of them or a descent of their consciousness or influence for a supramental change. It is quite impossible to ascend to the real Ananda plane (except in a profound trance), until after the supramental consciousness has been entered, realised and possessed; but it is quite possible and normal to feel some form of Ananda consciousness on any level. This consciousness wherever it is felt is a derivation from the Ananda plane, but it is very much diminished in power and modified to suit the lesser power of receptivity of the inferior levels.